Custard mixed, ready for the ice cream maker. Combine the cream, milk, both sugars, and salt in a non-stick sauce pan. 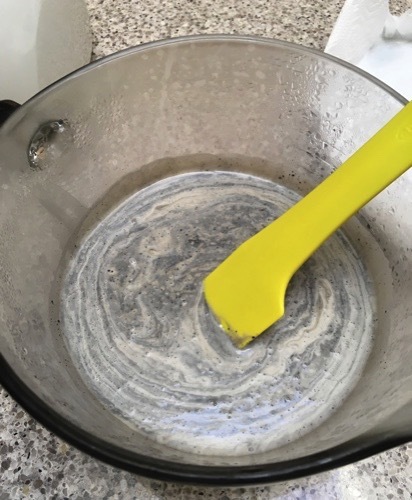 If the oil from the black sesame paste has separated, decant it into a jug. Whisk the egg yolks into the jug. 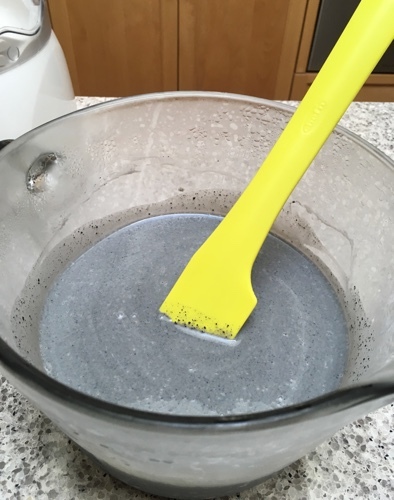 Scrape the black sesame paste into the sauce pan, then make the custard: Over medium heat, stir until barely simmering. Pour the custard through a fine-meshed strainer to remove any curdled bits, large chunks of vanilla bean, and sesame husks. Cover and chill for at least 6 hours. Churn and freeze according to your ice cream maker’s instructions—about 35 to 45 minutes in our Cuisinart maker. This was written by sairuh. Posted on Wednesday, June 14, 2017, at 2:09 pm. Filed under Food. Tagged ice cream, Japanese, recipe. Bookmark the permalink. Follow comments here with the RSS feed. Post a comment or leave a trackback. Hello! I wasn’t able to find black sesame paste at my Japanese grocer. 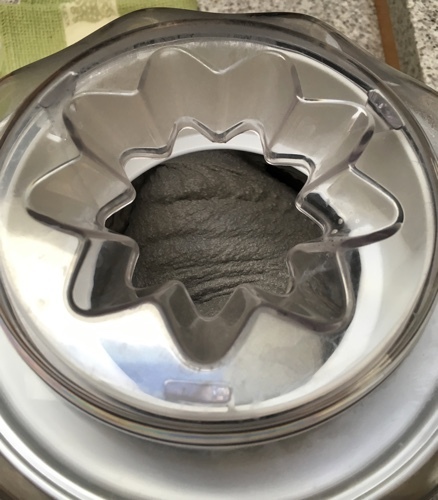 Do you think you could make the paste from from whole black sesame seeds?